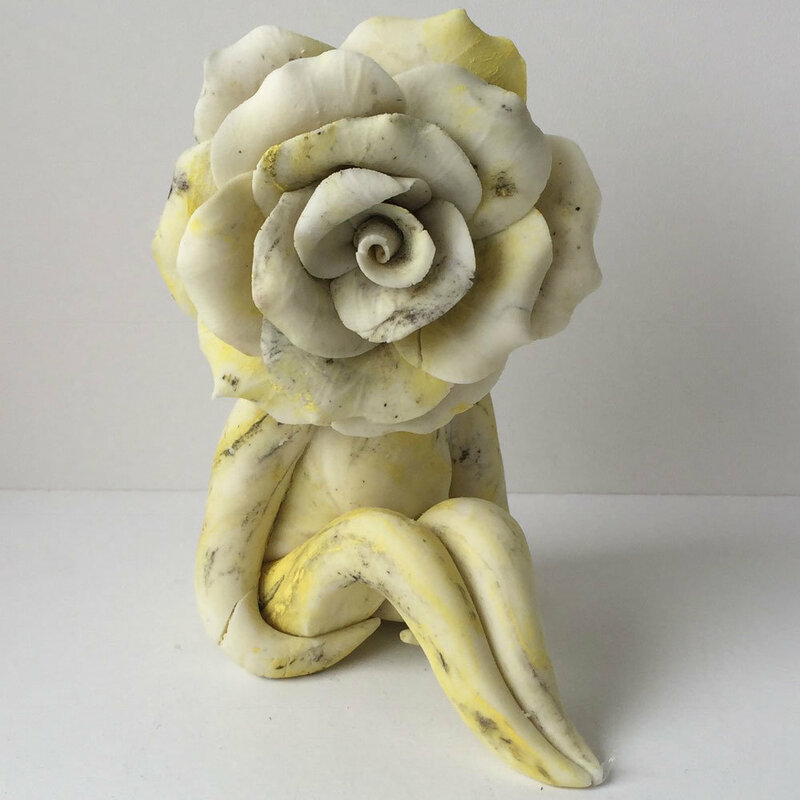 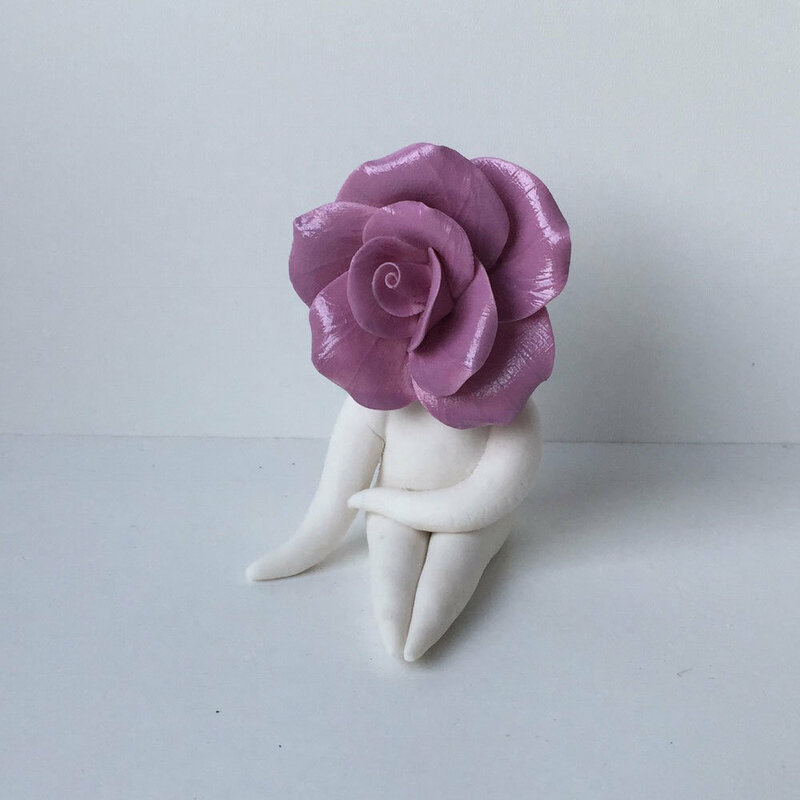 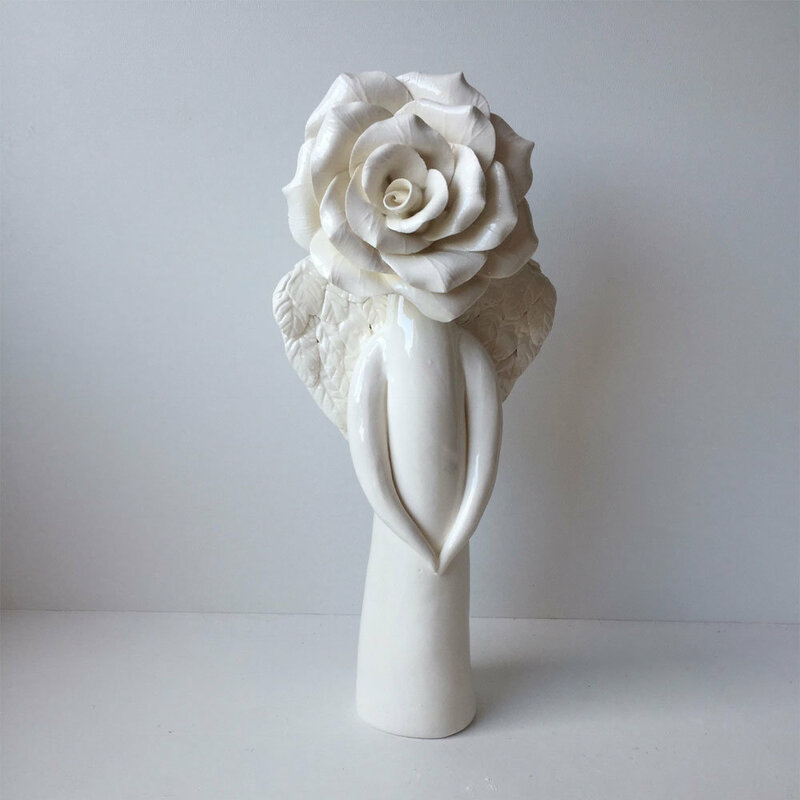 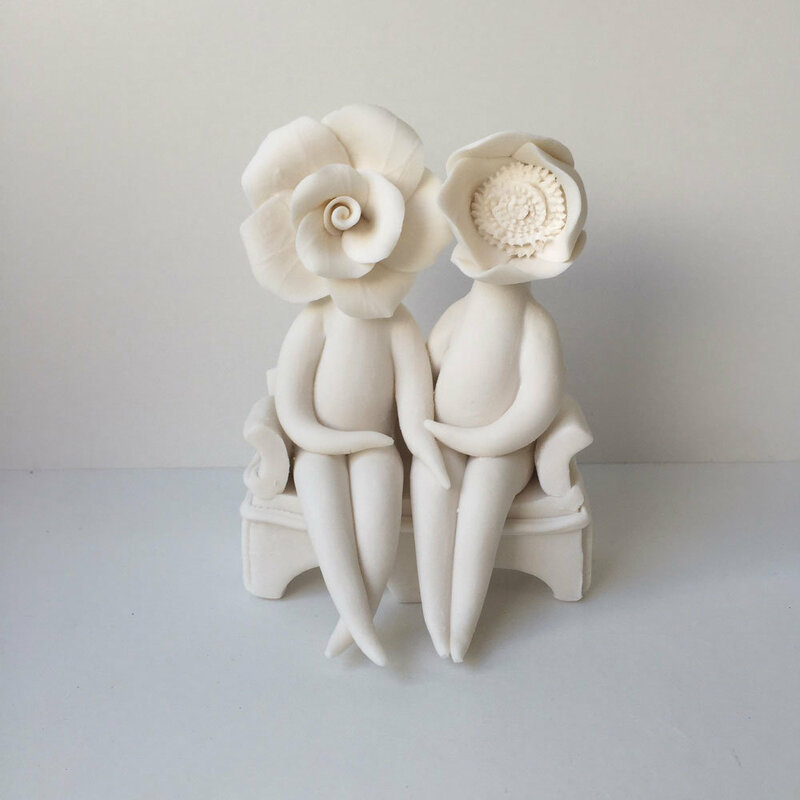 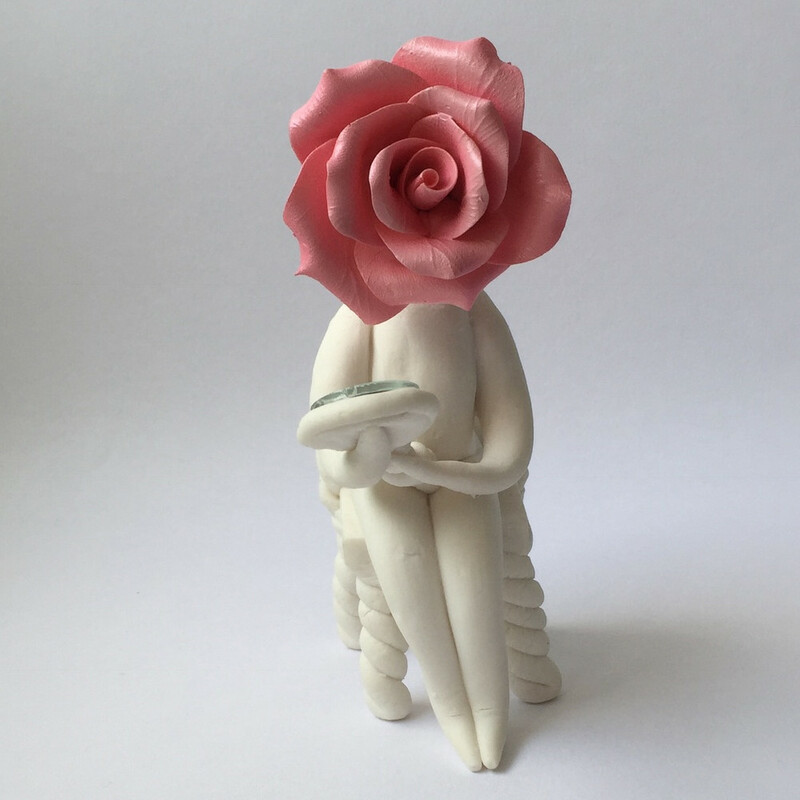 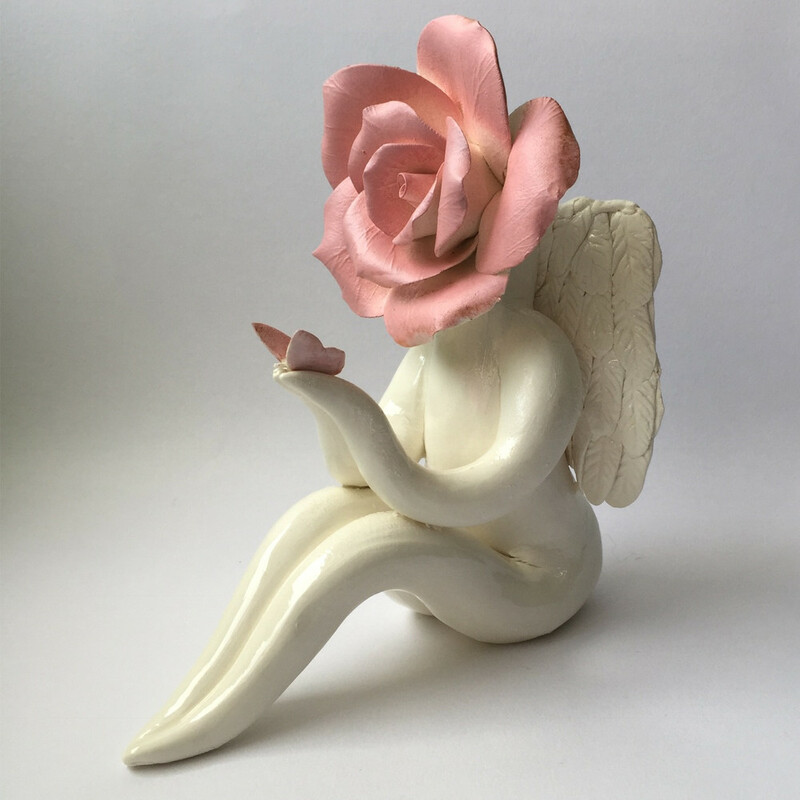 Lady Pink Rose is handmade in porcelain clay and glazed. 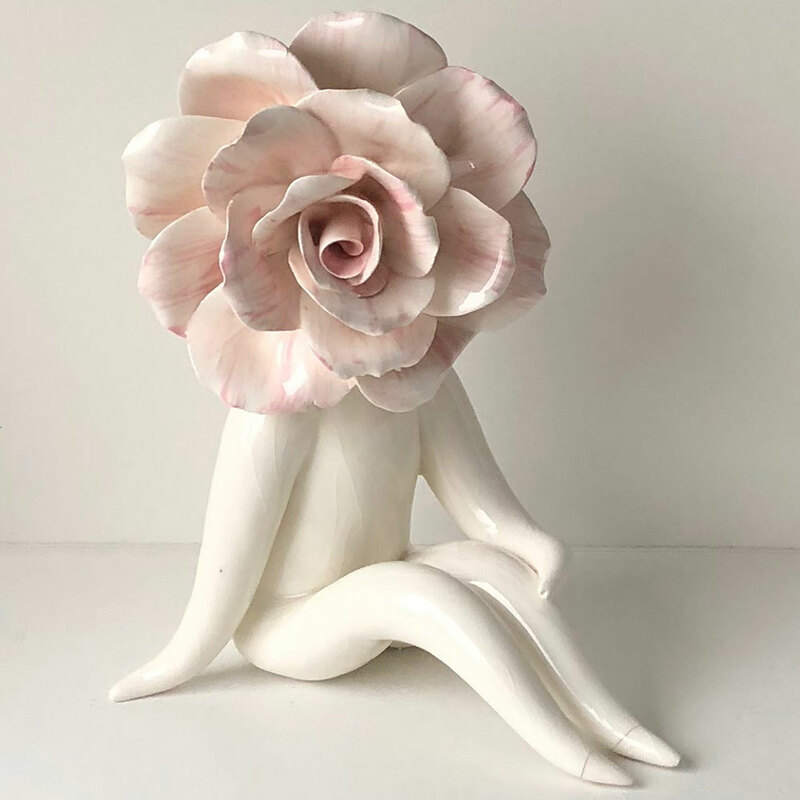 Medium size. 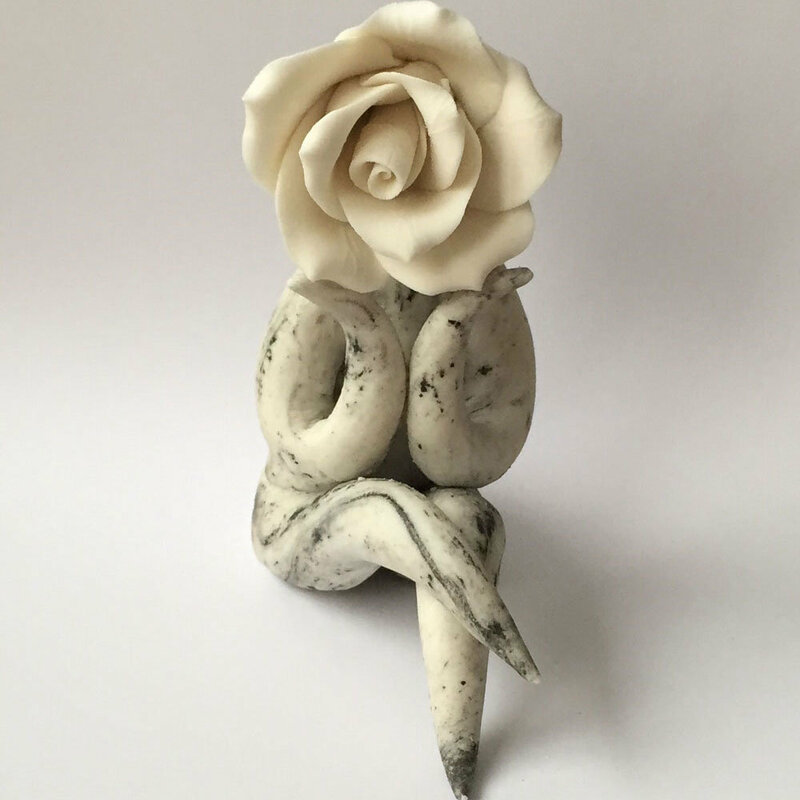 The toes had to be stuck back on as they broke in the firing, hence the sale price.